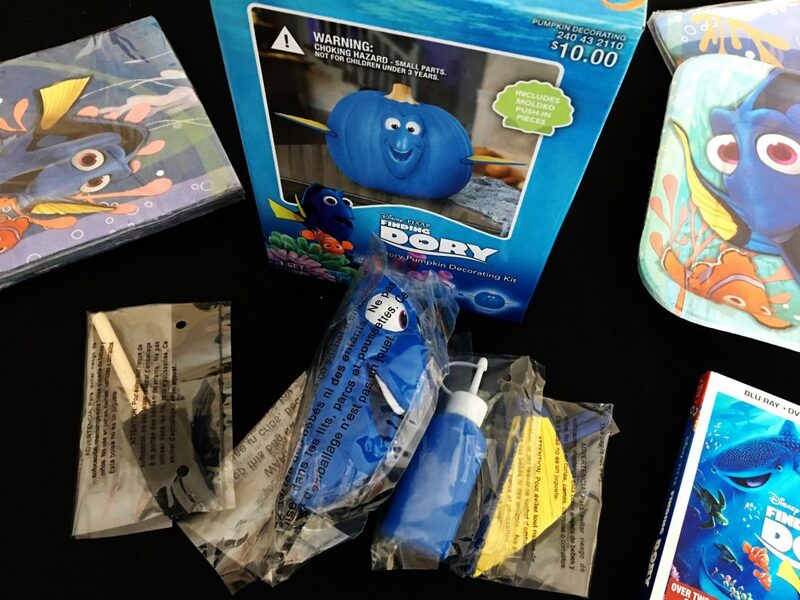 Last week we hosted a Finding Dory Pumpkin Carving Party, thanks to some supplies that was provided to us complimentary by Disney. It was super easy and fun. I can’t wait to do it again next year! 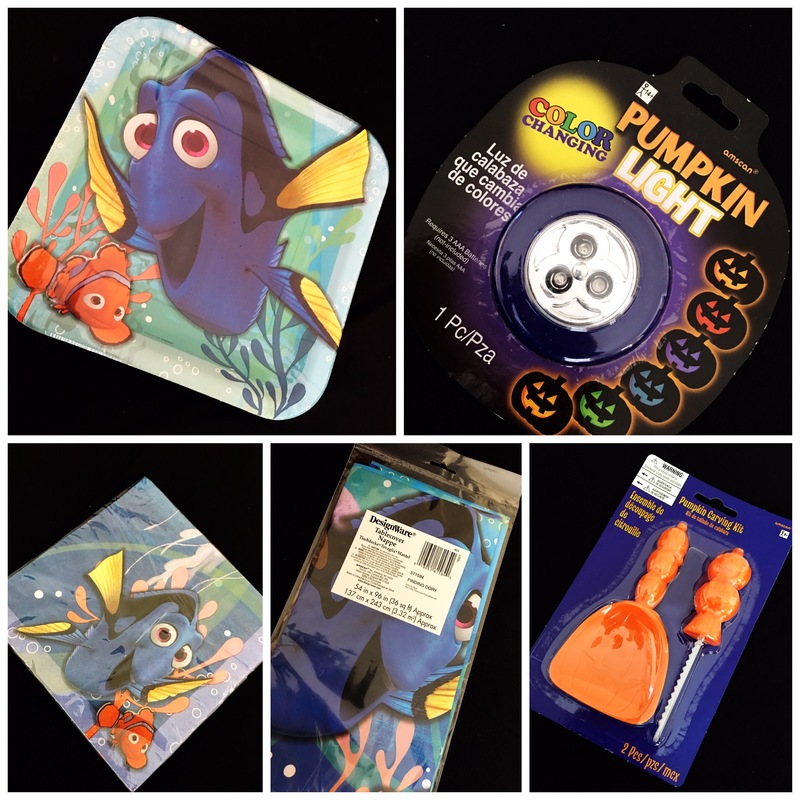 We also received a Dory No-Carve Pumpkin Painting Kit. 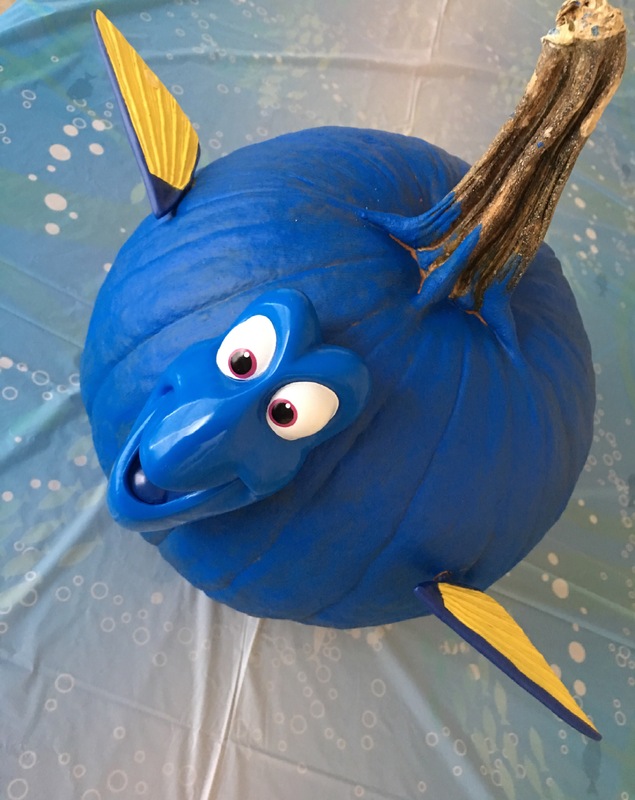 All we had to do was paint our pumpkin with the included blue paint, and attach a few “Mr. Potato Head” like pieces to it with Dory’s face and fins. It was an easy-peasy project, with no mess, no hassle and we were finished in no time. I highly recommend this kit, especially if you have young kids. 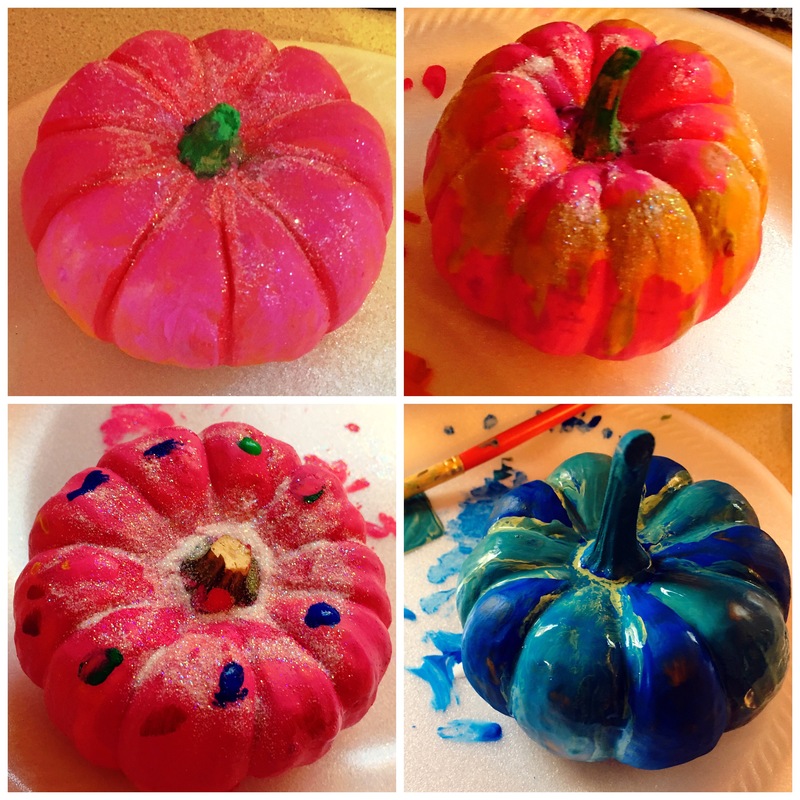 We painted a few smaller pumpkins as well with paint and glitter we already had on hand. And we carved some large pumpkins, but these were very time-consuming and a lot of work, having to cut off the tops, scrape and scoop out the guts, etc. I’d much rather paint! 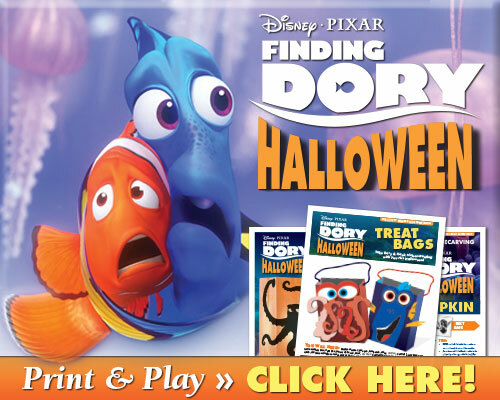 You can find Dory themed stencils and activities below to round out your Carving Party! After we finished painting and carving all the pumpkins we piled in the living room with snacks to screen our early copy of the Finding Dory Blu-Ray DVD. 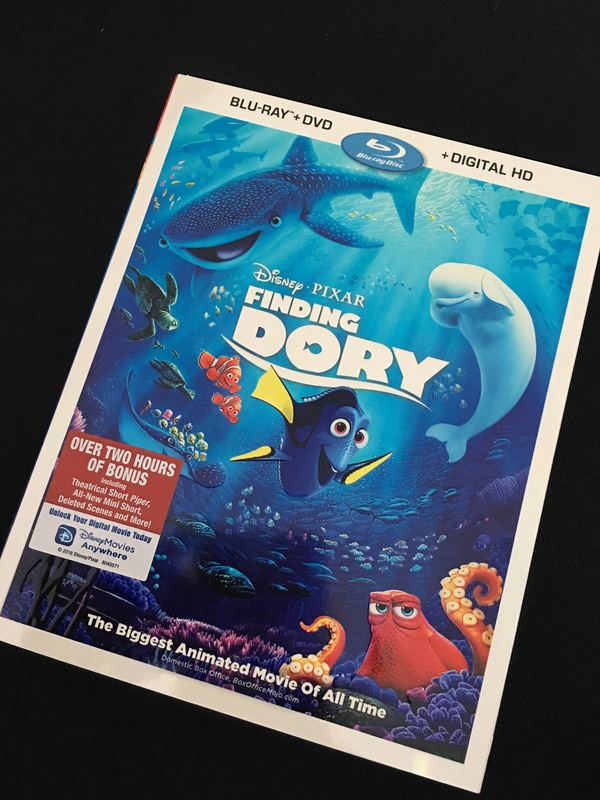 Finding Dory swims home on Digital HD and Disney Movies Anywhere (DMA) on Oct. 25 and on Blu-ray 3D™, Blu-ray, DVD and On-Demand on Nov. 15. 2016. You can pre-order now. We all had a great time, and I can’t wait to host another Pumpkin Carving (and No-Carve) Party next Halloween! 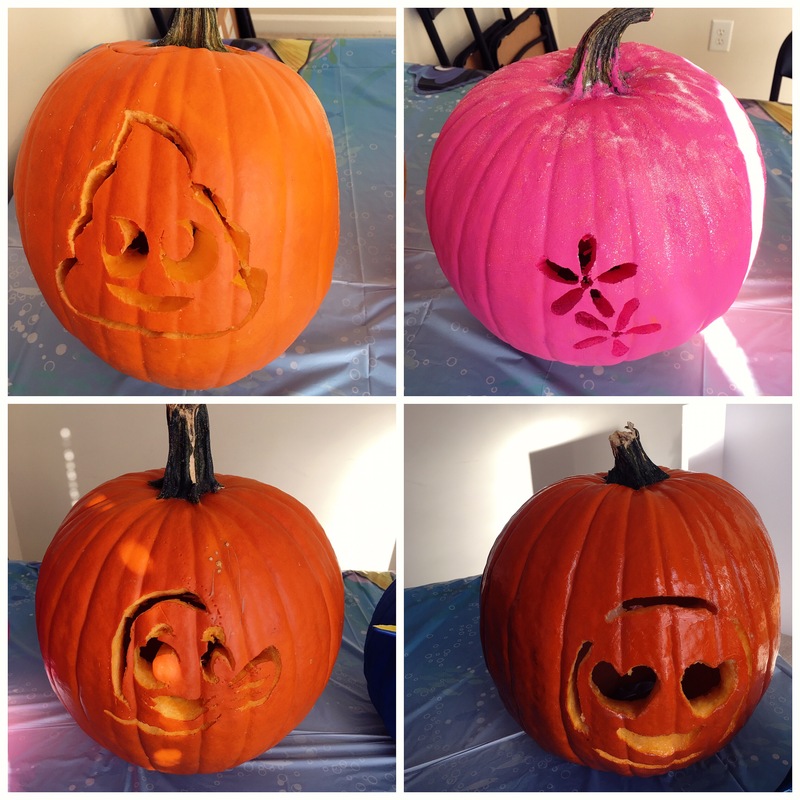 Have you thrown a Pumpkin Carving Party? Share your tips below!